Kenya Safari informative and unique guide provides visitors to Kenya with a level of knowledge and interest that will make your animal sightings more meaningful and authentic. Set across a 50-acre elegant manicured gardens, Safari Park Hotel features an outdoor swimming pool, restaurant and bar. The hotel boasts a casino and spa, and the central business district of Nairobi is 10 km away.The spacious rooms feature an African themed four-poster bed draped with a mosquito net and come fitted with a seating area, flat-screen satellite TV and en suite bathroom with a bath and shower. Extras include a minibar and tea-and-coffee-making facilities.Safari Park Hotel offers a variety of restaurants offering cuisines from Italian, African, Japanese and Chinese. Guests can relax at Hemingway’s lounge and bar which features an open-air terrace with views of the garden.Other facilities offered include a tennis court and 24-hour front desk. The Muthaiga Golf Club is 7.5 km away and the Jomo Kenyatta International Airport can be reached in 19 km. 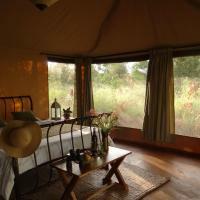 Ikweta Safari Camp is small intimate safari camp located just 2 km from the Murera Gate into Meru National Park. It offers a large salt water swimming pool, satellite TV and free WiFi access. The accommodation comprises of safari style tents with a private verandah.Each is designed with a separate en suite bathroom, which includes a modern shower and toilet. All tents are east-facing for guests to enjoy the spectacular sunrise over Meru National Park from the comfort of their beds.All meals are included and prepared from fresh, local produce from the camp’s greenhouse and surrounding local farms. Vegetarian dishes are also available.The camp is located a 45-minute drive from Maua and a 1.5 hour away from the town of Meru. 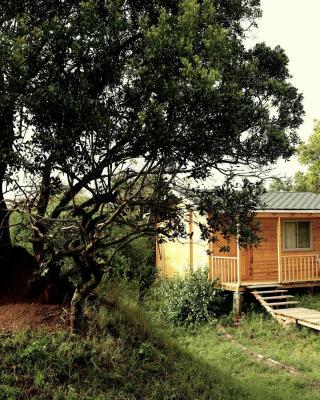 Located in Naivasha, 500 metres from Church, Hippo Safaris Resort offers a garden and bar. Featuring room service, this property also provides guests with a restaurant. No credit card needed to book. At the hotel, each room has a desk. The units include a seating area.A buffet breakfast can be enjoyed in the breakfast area.Hippo Safaris Resort offers a children’s playground.Lake view picnic site is 3 km from the accommodation. Overlooking the Mara River, home to hippos and crocodiles, all tents at Fairmont Mara have a private veranda. 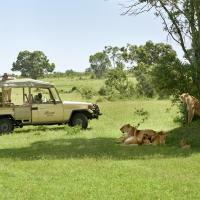 Game drives, an outdoor heated pool with bar, and massage tents are provided. Featuring four-poster beds, the spacious tents include a minibar and fan. Some have a private outdoor shower, while others have furniture on the veranda for al-fresco dining.Positioned over the river, the rustic restaurant with wooden roof serves a buffet breakfast and lunch. The dinner menu includes typical African cuisine, accompanied by music. All meals can be taken outside on request.The neighbouring Masai Mara is home to the Big Five and has been declared the 7th Wonder of the World. The property can organise balloon safaris or a champagne breakfast on the savannah. Masai entertainment is available in the evening. An Essential Companion When on Safari in Kenya & Tanzania. Acclaimed BBC Wildlife Presenter Chris Packham has written the forward to this much sought after African Wildlife Guide. In an extract from his forward, he says: “This informative and unique guide provides visitors to Kenya and Tanzania with a level of knowledge and interest that will make your animal sightings more meaningful and authentic. It also serves as a useful handbook for those armchair enthusiasts wanting to develop their knowledge about African wildlife. The two authors have travelled extensively throughout Kenya and Tanzania, and have spent five years compiling this guide. A comprehensive ‘Insider Tips’ section allows the authors to pass on to you the benefit of their extensive knowledge gained over ten years of independent travel in East Africa. This guide provides the perfect introduction to the most frequently encountered creatures and supplements everything about their behaviour and ecologies that you have forgotten from your armchair TV safaris, with a useful overview of their biology. It’s accessible, easy to use, concise and had plenty of little nuggets of interest and importance.” This Travel guide is a must for your tour of Eastern Africa. This book is easy to read and gives you not only simple to read facts, but great information of not only the animals that you may come across but about the area you are visiting. Take A Break Holidays takeabreakholiday, Accommodation.